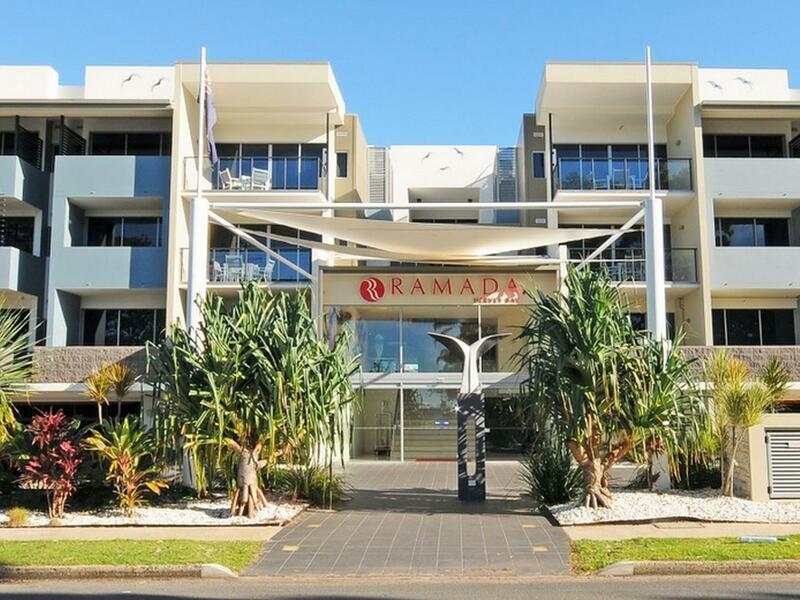 يقع فندق Ramada Hervey Bay، المصمم ليناسب كل الضيوف سواء كانوا من رجال الأعمال أو السياح، في مكان ممتاز في أحد أكثر المناطق تفضيلاً في أورانغان. يمكن من هنا للضيوف الاستمتاع بسهولة الوصول إلى كل ما تقدمه هذه المدينة النابضة بالحياة. بالنسبة لمن يريد الخروج، هذه بعض المعالم السياحية المتوفرة للزوار سبيرت اوف هيرفي باي, Creations at The Harbour, سلفر ستار فشنج. يقدم Ramada Hervey Bay خدمات لا غبار عليها وكل أشكال اللياقة وحسن الضيافة اللازمة لإسعاد ضيوفه. هذه بعض الخدمات الموجودة في هذا الفندق: مرافق مخصصة لذوي الاحتياجات الخاصة, تسجيل وصول/خروج سريع, تخزين الأمتعة, واي فاي في المناطق العامة, صف السيارات. تتضمن كل غرف النزلاء وسائل الراحة والتسلية المصممة خصيصاً لضمان الراحة القصوى للضيوف. كما أن مجموعة الخدمات الواسعة الموجودة في الفندق لضمان راحتك تترك لك الكثير من الخيارات لقضاء وقتك أثناء فترة إقامتك. إن Ramada Hervey Bay هو خيار ذكي بالنسبة للمسافرين إلى خليج هيرفى، بما يوفره من إقامة هادئة ومرحة. يرجى العلم بأن ساعات عمل مكتب الاستقبال هي من الساعة 07:00 AM إلى 07:00 PM. يرجى إعلام الفندق بميعاد وصولك التقريبي عند الحجز. Lovely hotel. Staff couldn’t be more helpful and really work hard to make your stay special. The on site restaurant was great, both for breakfast and dinner. 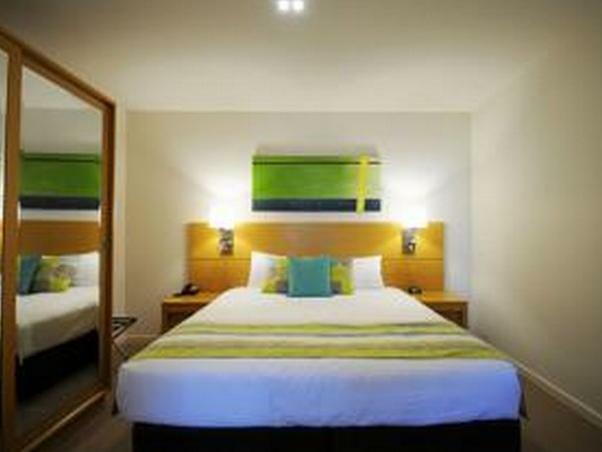 Rooms were a good size and the pool was kept clean and tidy. Highly recommended. We were initially booked into a room that was very ‘standard’ hotel room’, however, when I enquired if we could upgrade, the staff were very helpful and organised a 1 bedroom suite very quickly for only $20 more. Just love his place; it’s like a second home. 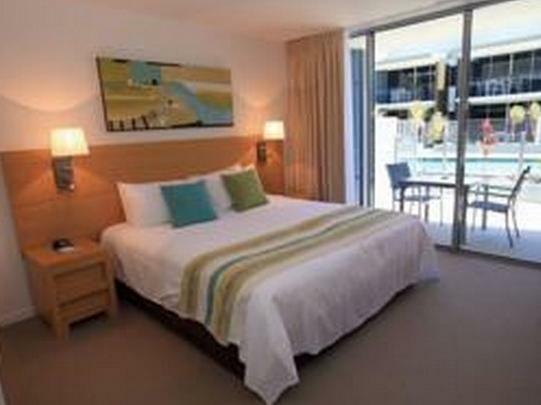 We stayed at the Ramada whilst visiting Hervey Bay for the first time. Our apartment was great with everything we needed for our 5 night stay. The staff were very helpful and super friendly. The only thing i could complain about was the gym it has all of 3 machines in it but in saying that i wasn't staying there to work out. I would recommend this hotel to others. So impressed with the restaurant Smokey Joe’s. We’d pre paid for breakfast which did not disappoint. It was one of the best I’d had in ages and I travel a lot so often in hotels. Dinner was beautifully cooked and presented. The chefs are clearly very passionate about what they do. The staff in the hotel were all wonderful and so welcoming. The hotel was comfy and the pool was perfect. There is a spa part of the pool which flows into one of the pools making it a blissful temperature to float in on a hot day. We will definitely be back! Great rooms, clean & spacious. We had a courtyard out to the pool & spa, a lovely setting. All of the staff were exceptionally friendly & helpful. The manager Peter was so accommodating & recommended some great restaurants & tours. Will be returning in the future. Highly recommended. Room comfort excellent. Fantastic pool. Most friendliest staff. 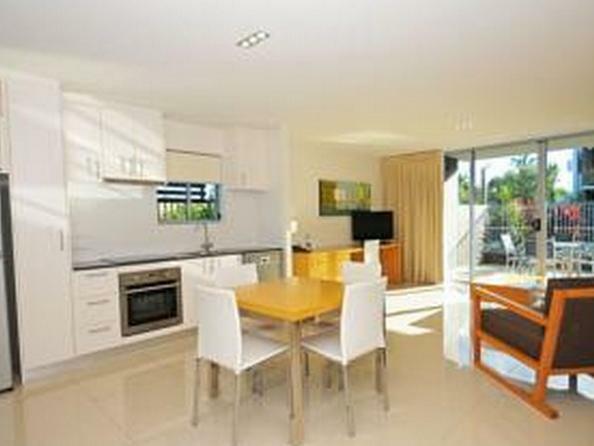 Nice quiet location, close to boat harbour. Secure parking. Restaurant and food selection was great. Kid friendly envirnment. Thank you to all the staff. Will return. Everything was fantastic except no fans and no fly screens in the suite. Staff were absolutely exceptional and should be commended, especially the breakfast team! Such an asset to your company, they made our mornings. Over for Offshore power boat racing. .Staff and manager took a personal interest in the event and were most accommodating, organising transport to and from functions etc. .Will be back next year for sure. This was an amazing place to stay, close to everything. Perfect for little kids. The breakfast included was the best buffet breakfast I have ever had. All the staff were so friendly and helpful. I was on my own with a 3 and 5 year old at it was nice to have a room with easy access to the pool and to be able to go to the car in the free underground parking without a fuss if we forgot something.